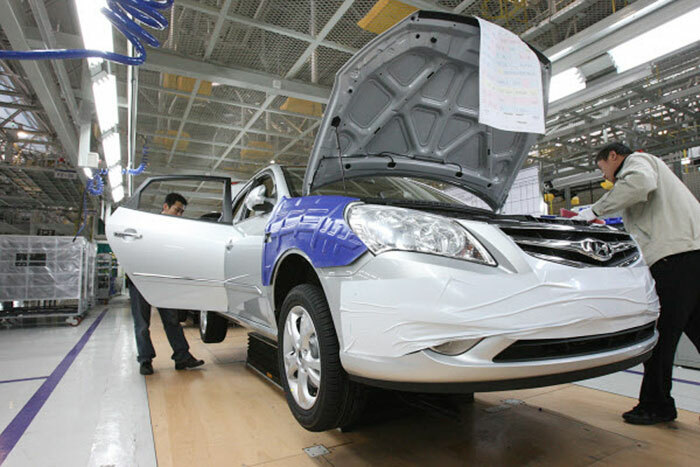 [주말쇼핑가이드] "상큼한 봄나물로 입맛 돋우세요"
Hyundai on Wednesday resumed production at four car factories in China after a parts manufacturer that is owed millions resumed supplies, the Korean carmaker said. Hyundai and its Chinese partner BAIC Motor owe four months' worth of payments or around 111 million yuan to the French-Chinese joint venture that makes plastic fuel tanks. It resumed supplies despite still being unpaid. Due to a massive sales slump in China caused by an unofficial boycott of Korean goods there, Hyundai has been unable to pay most of its parts suppliers for three to four months, and many are considering halting parts supplies as well. A Hyundai staffer said, "We are continuing talks with the parts maker over back pay and will strive to ensure smooth supplies from other components makers." But the main reason the plants halted production appears to have been conflict between Hyundai and BAIC over profitability. Hyundai and BAIC established Beijing Hyundai, a 50:50 joint venture, in 2012, with BAIC handling the finances. One industry insider said, "Hyundai has suffered weak sales in China, and BAIC demanded that Hyundai get its parts suppliers to cut components prices by 20 percent to maintain profitability." But Hyundai refused and BAIC is refusing to step into the breach, the source added.